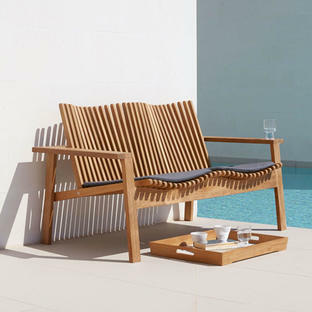 Amaze is a series of outdoor teak furniture by Cane-line is designed by the danish design team Foersom & Hiort-Lorenzen. 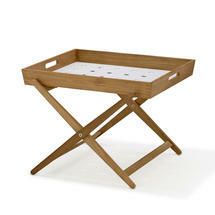 This practical butlers style tray is both functional and a statement of simplicity and craftsmanship. 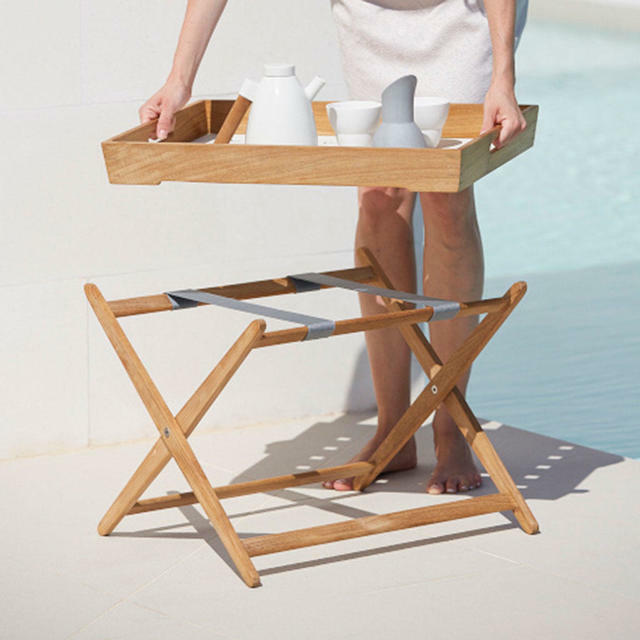 The top of the removeable tray is made from powder-coated aluminium making it practical and durable. Also available in this collection is the Amaze lounge furniture, Dining chair and Sunlounger. 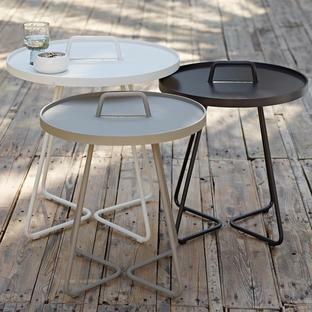 Top of tray made from powder-coated aluminium. The table top lifts off and legs fold flat.